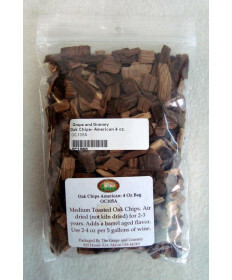 Oak has been in used in the wine aging process for thousands of years, dating back to the Roman empire. Oak barrels have the unique ability to impart 'oak' flavor to wine which can be described as leather, vanilla, clove, spice, leather, toast, liqurice and smoke. Small amounts of oxygen transfer slowly through the staves of the barrel allowing red wines to mature more quickly than if the wine was aged in glass or stainless. Wine barrels also will evaporate alcohol and water which concentrates the flavor of wine. The best tasting red wines in the world are usually aged in oak barrels. 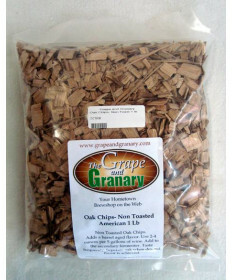 Grape and Granary offers a number of small oak barrels to the home wineamaker. 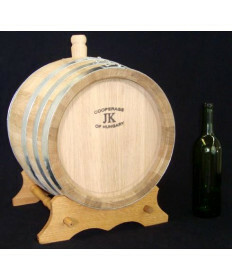 We stock wine barrels make from American Oak, French Oak and Hungarian Oak. 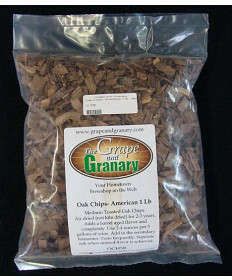 For those who do not want the investment of a wine barrel, Grape and Granary offers a number of oak alternatives that give you the complexity of an oak barrel without the extra effort and expense. 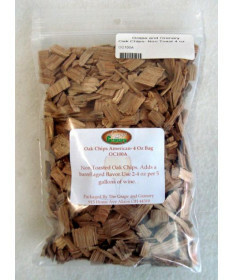 From oak beans, oak powder, oak shavings, and oak spirals. 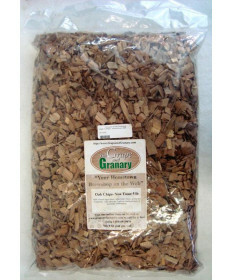 Grape and Granary has what you need for your wine. Our oak products are sourced from around the world to offer the most distinguished tastes possible. Contact Us if you have questions about any of our wine barrels or wine barrel alternatives.